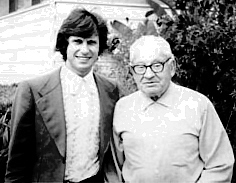 Armando Cesari (left) with Mario Lanza's father, Antonio Cocozza, in 1972. 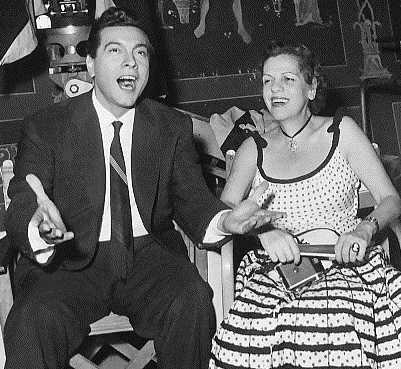 During the course of writing his biography Mario Lanza: An American Tragedy, Armando Cesari interviewed literally scores of the tenor's friends and colleagues. One of these was Sam Steinman (1907-1984), an American journalist who worked as Lanza's European publicity agent from 1957 to 1959. A long-time Rome-based correspondent for publications such as the New York Herald Tribune (European edition) and Billboard, the respected and straight-talking Steinman was a close friend to Lanza during the last two years of the latter's life. [A 1961 article on Steinman can be read here.] It was also Steinman who assumed the distressing task of informing Lanza's wife, Betty, that her husband was dead, as well as organizing the tenor's Rome funeral. Mr. Steinman: When did you first meet Mario Lanza? When he came to Rome [in 1957] to make the picture Seven Hills of Rome. He came here with his family. Actually, he had a whole staff––a lot of people––and I got to know him through some interviews that I was doing for The Hollywood Reporter. As things went along he got the notion, and rightly so, that everyone was trying to cheat him––take advantage of him––and he also became convinced that I was the only honest person that he knew. I thought rather well of him! So you met when he came over here? Yes, it was a gradual meeting. I never asked him for anything; I never wanted anything from him, and that impressed him. Actually, he called me in and said, “Do you want to work for me?” And I said, “Well, I’m pretty busy working as a reporter,” but he said he wanted someone, whether it was exclusive or not, to handle his public relations, his publicity, and someone that he could trust. I said, “Fine, I will be glad to do it”––meet his standards and what not. He said he was sure I would. I told him I would do it, but I wouldn’t take any nonsense from him, and if he wanted to go along with that, fine. He said that was all right, and we started working and worked until he died. During the period that you knew him, which was over two years, how was he? Well, look, let me tell you this. If you are looking for a whitewash story, I can’t really give it to you. I’ll tell you what started it, and most of his doings. The real part of it is that so many stories have been written about him: [conductor/accompanist Constantine] Callinicos, for instance, was out to make money. 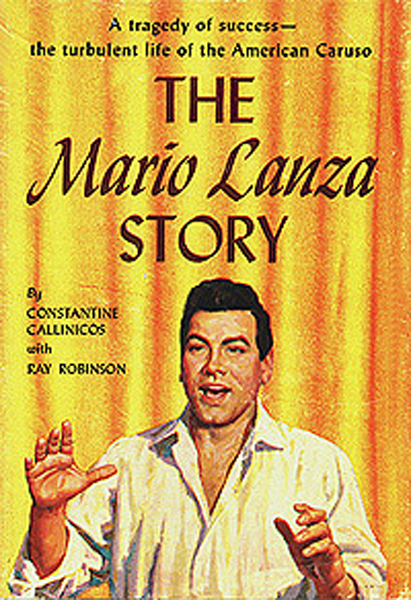 He just decided Mario is dead––there was no more money to be made out of him––and he’d write the book [The Mario Lanza Story, Coward-McCann, 1960]. I also had offers: I had all kind of offers to write books, and I could have written a damned good sensational story, but I didn’t want to do that just for the sake of making money. So I just laid off it; I didn't want to do any writing [about Lanza] at all. I was told in America that he drank a lot ––that he was hitting the bottle in an incredible way. According to Callinicos and others I have spoken to, he was an alcoholic. Yes, he was an alcoholic, but he also had a low tolerance for alcohol, so he’d say that he’s just drinking Campari and soda, which is only slightly alcoholic, but is alcohol nevertheless, and it damaged his system. He’d get drunk quickly, and once he was drunk, there was no controlling him. Regardless of his drinking and eating, he was more sinned against than sinner––that I can tell you. There were an awful lot of people who had an angle who wanted to get to him to make some money, or this or that. [Lanza's manager from 1946 to 1952] Sam Weiler stole from him; he took advantage of him. I knew these stories and knew them very well. Sometimes we’d go out riding at night, and he was just taken with the way I knew Rome and things about Italy and he’d say, “Let’s just ride in the car and you talk about this and that,” and he’d say, “Is that so, is that so.” He was just like a little boy, just picking up things. 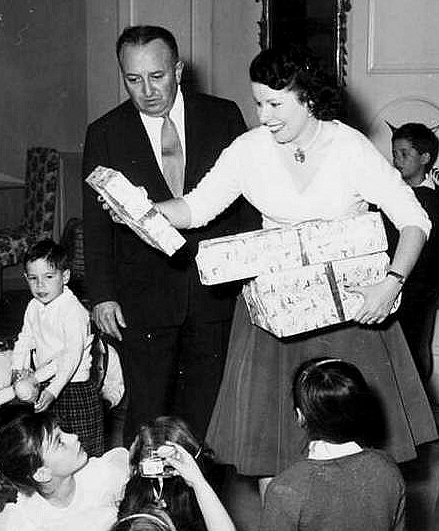 What was your impression of [Al Teitelbaum, Lanza's manager from 1954 to 1957]? A cheap crook. Mario needed money, and Teitelbaum took advantage of him. What about the voice: what was it like? You know, he shattered a glass with the sharpness of a high note. Are you having me on or are you serious? He showed it to me. The voice was that powerful. Let me tell you a story. On the last day of his life he called me at about 10 am. I said I’d come to the hospital, but I had to have lunch with Mel Ferrer and Audrey Hepburn, who were in Rome at the time. Mario said “What the hell, whom do you make more money out of: Mel Ferrer and Audrey Hepburn, or Mario Lanza?” And I said, “You hold the title, Mario Lanza.” He paid me a hundred dollars a week, which at the time was very good pay. So I said, “You do, but they are old friends and I just want to see them.” He said “All right,” and that was that. What were his future plans? He wanted to do an opera––that was one prime ambition in his life, to actually appear on the operatic stage. [Note: Steinman was presumably unaware of Lanza's earlier operatic appearances.] He was going to show up those phonies like Mario Del Monaco and some of the tenors that were around at the time. I know that he was in touch with Maestro Vitale of the Rome Opera and the plan was that the Rome Opera was going to present him in Pagliacci. It was going to be built up as a big event, a guest appearance. If Pagliacci went well, they would have done other operas. Was he an insecure person? Was he afraid of singing in an opera and failing? No, as far as opera is concerned, he was sure of himself; there’s no doubt about that. He did have a bit of insecurity about himself in other things, but not his ability in opera––that I can tell you. What were his thoughts on other tenors? He compared all of the different tenors around, and he told me just the way Mario Del Monaco sang, and the way he sang. Mario’s voice was as clear as a bell and you could make out every word he sang clearly. “Mario del Monaco? Waw! waw! waw!” He thought of Giuseppe di Stefano as being much better than Mario del Monaco. He even liked [Franco] Corelli better than del Monaco. What films was he planning to make apart from "Laugh Clown Laugh"? There was a German producer, Arthur Brauner, who was paying him an advance to star in one of his films. Brauner wanted him to make the picture with Caterina Valente, but Mario wasn’t happy about that because he didn’t think she had any voice. But he was willing to make the picture with her to get the money. And of course all these spongers like Callinicos, [conductor Paul] Baron and so forth would encourage him to make movies because of the money that was coming their way. Baron had been musical director of CBS, and he lost his job because he was charged with falsely claiming that he had written the music of the song “Rum and Coca Cola.” This and other stories are in the book My Life In Court by a lawyer called Louis Nizer. The net result is that he never had anything to do with Paul Baron again. There was talk that the Mafia got to [Lanza]––what do you say about that? No. I have participated in the writing of several books, including [Martin A. Gosch and Richard Hammer's] The Last Testament of Lucky Luciano, whom I knew better than most journalists. The Mafia had nothing to do with it.